Newly Developed top of range Arm Robot to learn kinetics. 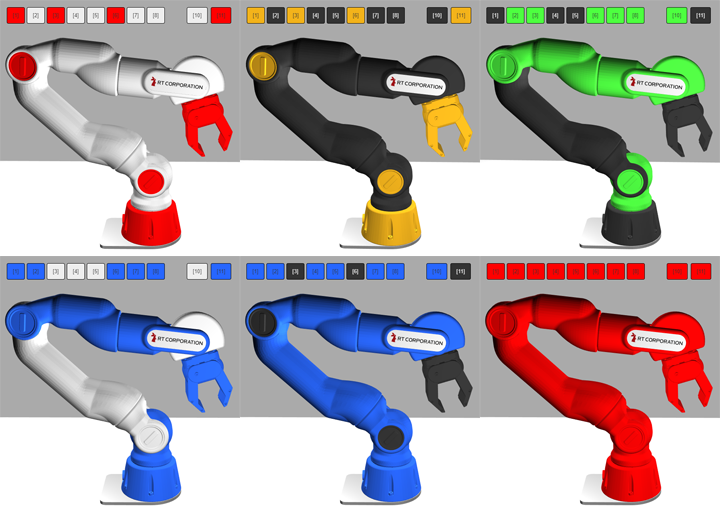 X7 is compact, well styled and compatible for Ros Kinetic Kame and suit for research on collaborative robots. Compact and Stylish! It is ideal for research of collaborative robots. Currently available as a beta version. The official release of the software is scheduled around June 2018. 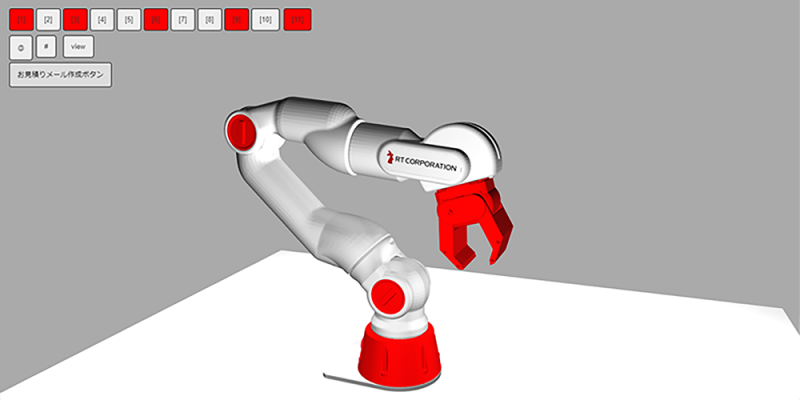 Redundant 7-axis, orthogonal-axis design allows for close-to-human operation depending on the program. You can set the action to avoid obstacles. 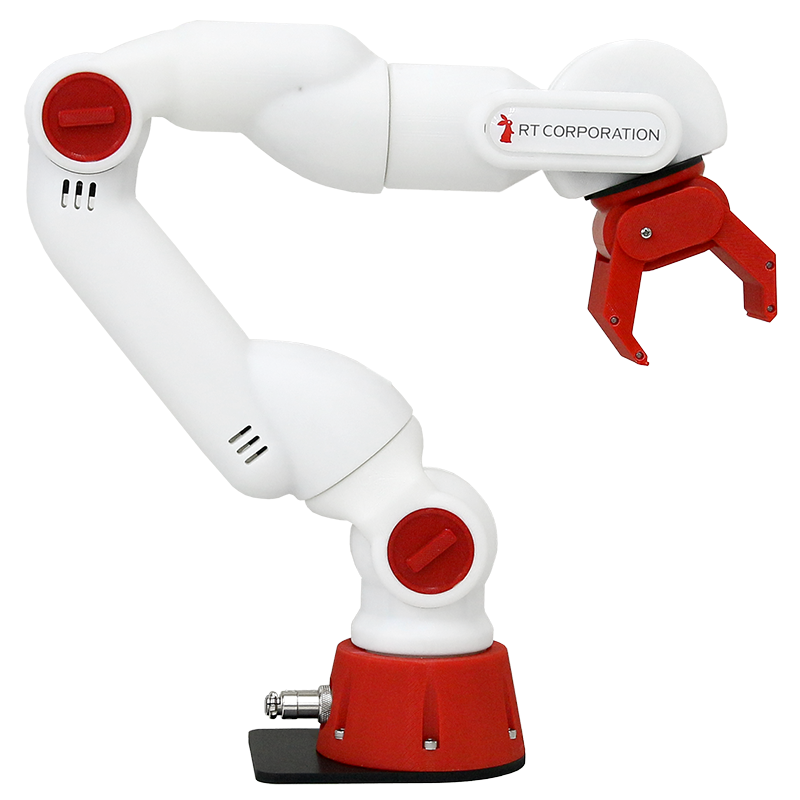 By the ROBOTIS servo, the position, speed, and torque (current) control can be selected in the mode. Combined with a variety of ROS packages, the range of research is broadened. 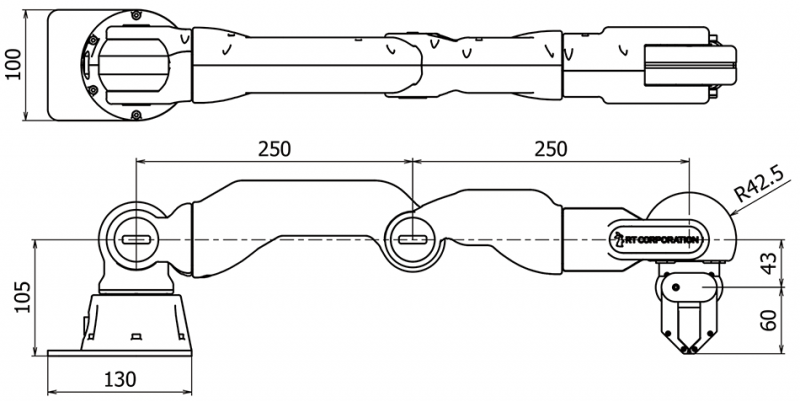 The CAD data will be released. You can make your own spare parts for repair, or make your own hand. Easy to carry and easy to set on a desk with a clamp. You can enjoy the color variations of the body parts. The color can be selected from white ､ black ､ red ､ blue ､ yellow ､ green. CRANE-X7 is jointly developed by Osaka University Hosoda Laboratory and is designed primarily for research and development. This arm robot has a 7-axis structure and is possible to make the plan to avoid the obstacle and simulate a flexible operation such as a person’s arm. Supporting Inverse kinematics by C++ and ROS(Kinetic Kame). CRANE-X7 can be used to research and develop advanced processing using a rich range of ROS packages. 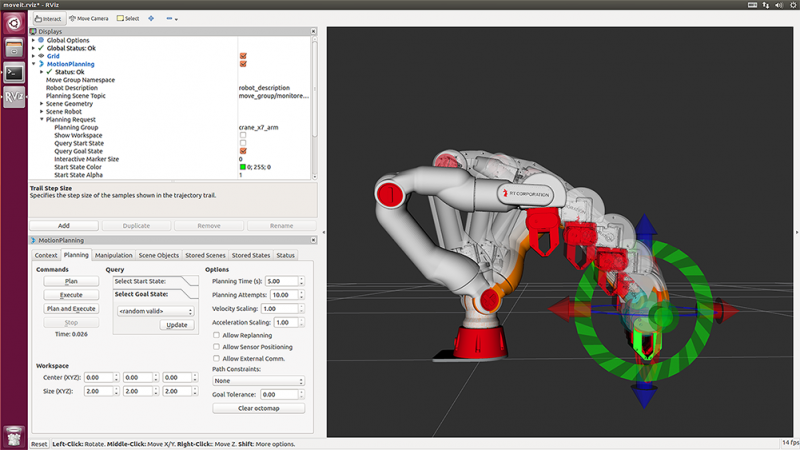 *ROS (Robot Operating System) is an open source software that provides packages and tools to help software developers create robotic applications. You can easily assemble versatile programs using the packages and tools provided by ROS. Delivering This product is built to order. So it takes about 1.5 months from receiving the order to delivering. * Specifications and prices are subject to change without notice due to improvements or other circumstances. You can choose the body color. Color can be selected from the white, black, red, blue, yellow, and Green. May cost extra fee, if you choose more than three Colors. If you click on the URL or the image below, you can set the color combination. Please specify the color variation when you order the product. This product takes 2 months to deliver. Please be aware in advance. The color change after the color variation specification cannot be accepted. Due to the order production, the cancellation fee will be incurred in case of cancellation. The logo will be up to fifteen characters and cannot mark a fine symbol marks.